Broccoli is high in folic acid. 3 Do I Cook Frozen Broccoli Before Baking Quiche? Boiling raw broccoli in a large pot of water for too long is a good way to not only rob it of its nutrients, but also destroy its distinctive texture. Quick-broiled broccoli is a much better idea because heat brings out its color while taking away the bitterness and softening the crunch. Broiling broccoli correctly involves little more than attention to timing. The process doesn’t take very long so it's essential to keep an eye on your broccoli so it doesn't burn. Preheat your oven to 425 degrees F. Let it heat while you wash your broccoli thoroughly. 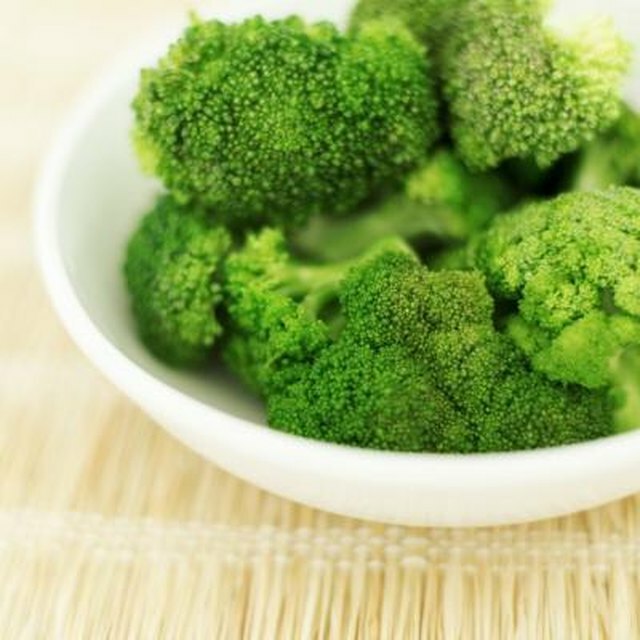 Shake off all of the excess water and set the broccoli in a colander to drain. Mix together olive oil and any seasonings you want to use -- like salt, pepper and chopped garlic -- in a small bowl. The exact proportions are a matter of taste, so test and correct the seasoning amounts until you're satisfied. 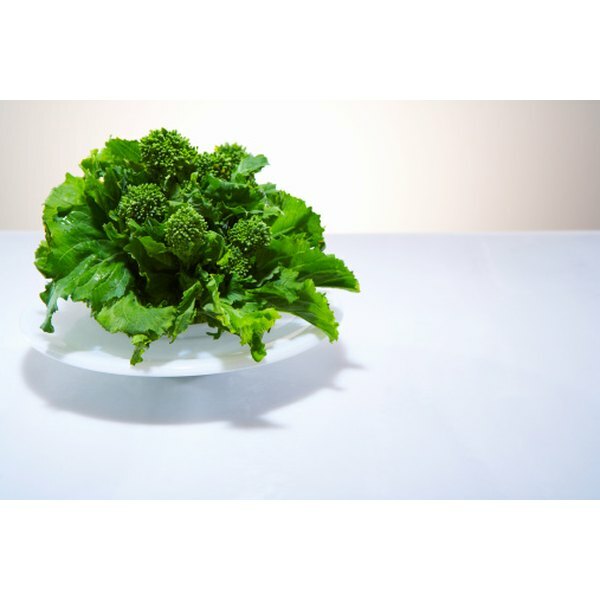 Cut off the broccoli stem, and divide the broccoli into large florets. Peel away any thick skin on the larger floret stems. Blot the florets completely dry with paper towels. If there is any water on the broccoli when you broil it, the florets can get mushy. Place the dry florets into a large bowl and toss them well with the spiced olive oil mixture. Spray a baking sheet with nonstick cooking spray and place the oiled broccoli -- in one layer -- onto it. This will help ensure that it cooks evenly. Bake the broccoli for 10 to 15 minutes, stirring and turning it once or twice -- and then turn on the broiler. Baking it before broiling helps make sure that the broccoli cooks through without scorching it. Broil the broccoli for another two to three minutes, until it barely starts to brown, stirring and turning it to keep it from burning. Toss the broiled broccoli with Parmesan cheese and lemon zest for a tangy treat.